Parallels Desktop cannot be started. 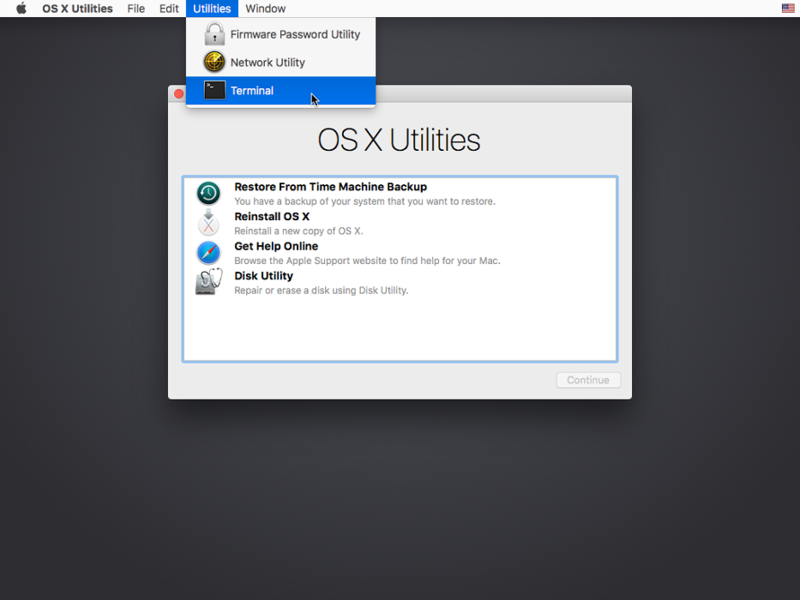 The notification window Unable to start Parallels services appears. Parallels Desktop cannot connect to one of the required services. Restart the Mac and try launching Parallels Desktop again. If the first step hasn't fixed the issue, uninstall Parallels Desktop. NOTE: Restart is required to finish the uninstall process. After restarting the Mac install Parallels Desktop again. If required, download the installation image from the Downloads for Parallels Desktop page. Try launching Parallels Desktop again. 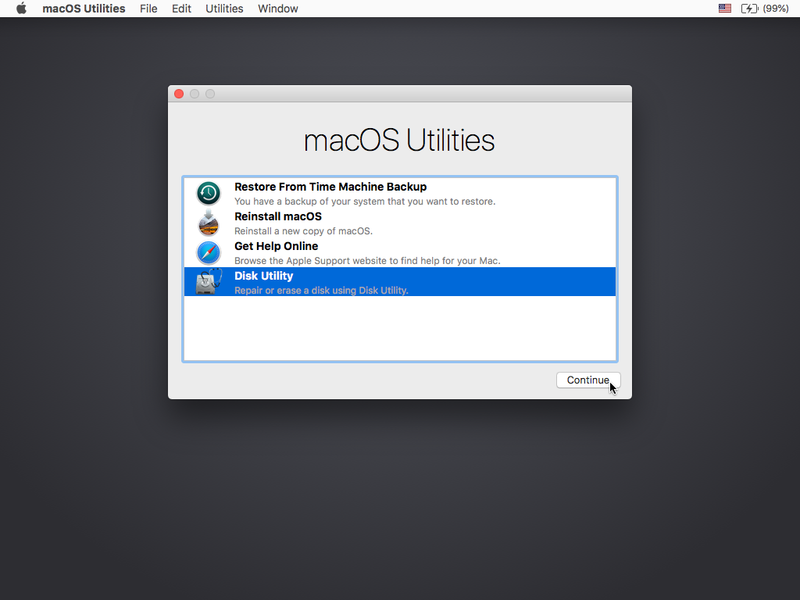 As an alternative to the most of troubleshooting steps listed below it's possible to either update macOS® operating system as described here if an update is available or reinstall macOS® from Recovery as per instructions from the article. Both actions will refresh system files and restore permissions for system folders which are required for Parallels Desktop functionality. 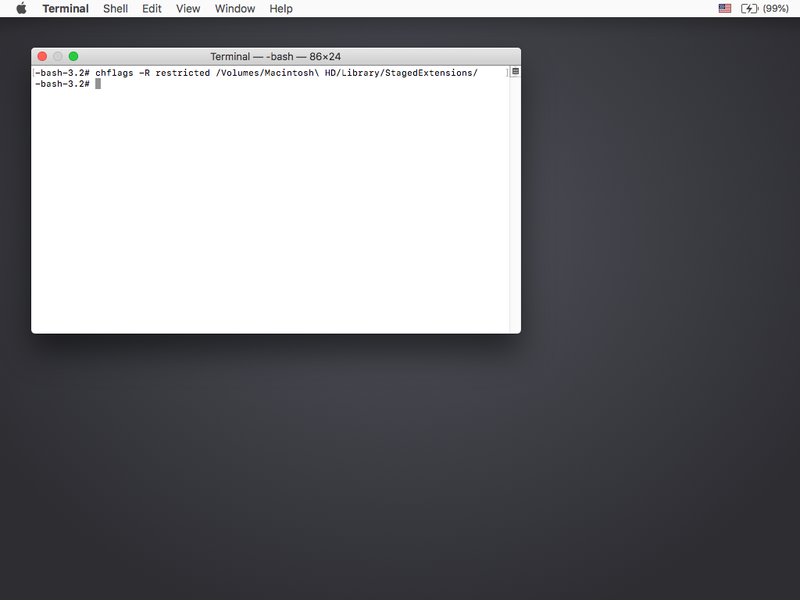 Start Terminal: open Finder - Applications - Utilities - Terminal. 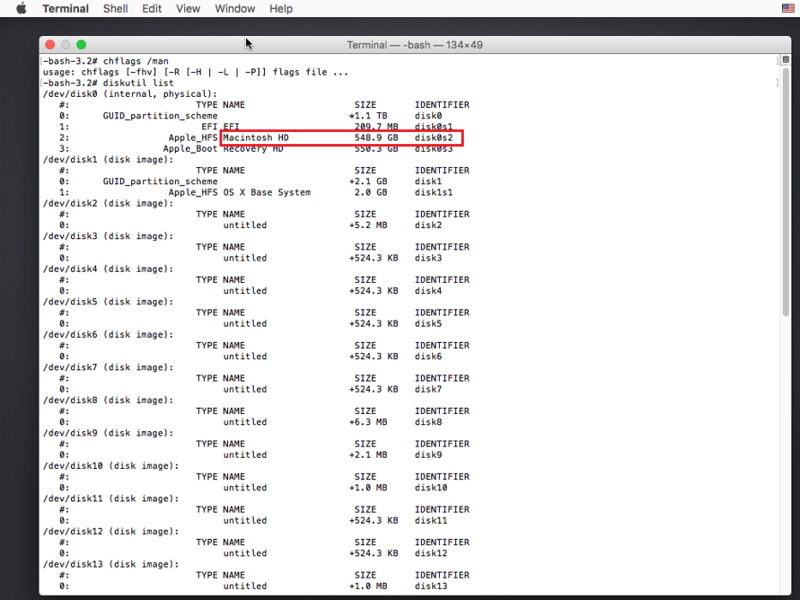 Type in ls -dlO /Library/StagedExtensions/ and hit return (Enter). NOTE: in -dlO l is lower case L, not the figure 1 and O is a capital o, not the figure zero. If the output of the command above doesn't contains the word restricted, check the status of FileVault in System Preferences > Security & Privacy > FileVault as further troubleshooting steps depends on its status. Then proceed to the Setting restricted flag to the /StagedExtensions folder in Recovery section. If the output contain the word restricted proceed to the next step. NOTE: You will need to enter your Mac password to run the command. No symbols will be shown due to security measures, so just hit the keys and use return/Enter. Restart the Mac and try launching Parallels Desktop. If the issue still persists restart your Mac and hold down Command+R combination on the keyboard until Apple logo appears on the screen. NOTE: If you see a login window or your own desktop instead of the Utilities window, it's possible that you didn't press Command+R early enough. Restart your Mac and try again. From the top menu bar select Utilities and then Terminal. NOTE: You should hit return/Enter after entering the command to execute it. 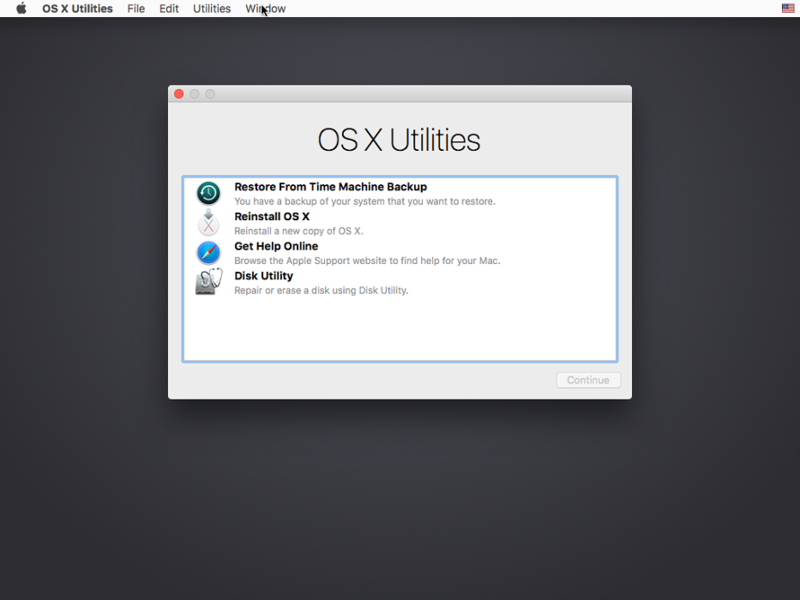 If none of the steps above have helped the only solution left is to reinstall macOS® from Recovery to update system files as per instructions from the article. By reinstalling macOS® from Recovery only system files will be updated keeping personal files and installed applications intact. Restart your Mac and hold down Command+R combination on the keyboard until Apple logo appears on the screen. Since FileVault enabled to execute the necessary command it's required to mount the FileVault protected disk. 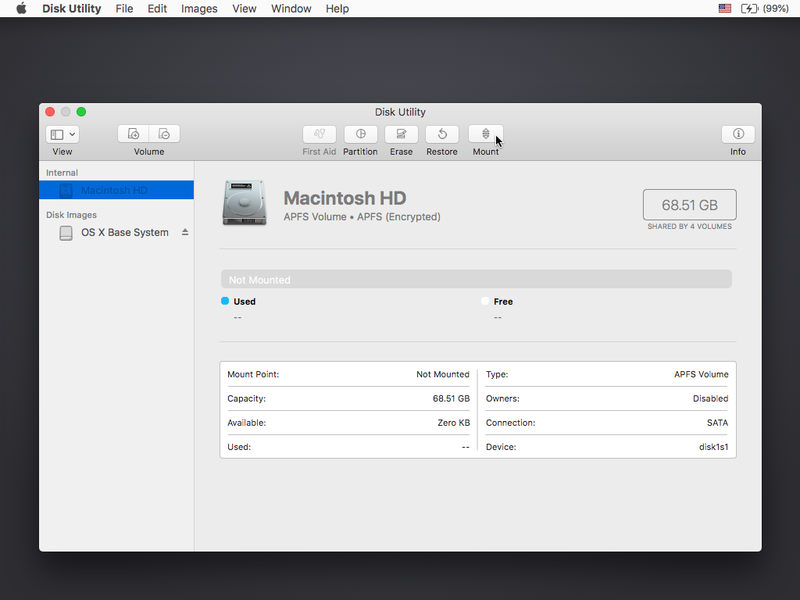 From the list of OS X Utilities select Disk Utility then press Continue button. Enter Mac password in the following window to mount the disk. Once done proceed to the next step. NOTE: By using the Tab button on the keyboard it's possible to utilize tab completion Terminal functionality to fill the path by typing slash symbol / and the first letter of a folder using a correct register. The short video below provides example of using tab completion Terminal functionality. Make sure that now the output has the restricted flag by following instructions again in normal mode.